What’s For Lunch? By Our August Student Pharmacist, Ann Kuttothara, Who is Now Hungry! 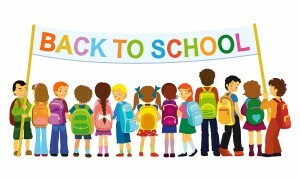 During this time of year, everyone adjusts to a different schedule as students return to school. One change in the morning schedule for parents may be the additional task of preparing lunch for children. This meal helps students recharge during the school day and provides energy for the rest of the afternoon. Kids can then concentrate on classes and after school activities once they have had a tasty lunch. Sometimes lunch may be the first meal of the day for children who tend to skip breakfast–so it is important to provide nutritious food that will energize kids! -Get children involved in the process of packing lunch. They will be more likely to choose foods they like and eat their lunch! -If weeknights are hectic, prepare lunch for the week during the weekend. -Avoid pre-packaged lunches that are loaded with unhealthy ingredients. -Don’t forget ice packs to keep food cool or a thermos for hot food. -Inform the school about any food allergies. Some days there just may not be time to pack lunch or your kids may want to buy lunch. So discuss other options, such as buying lunch from the cafeteria twice a week and packing lunch the remainder of the week. Use this opportunity to discuss the importance of moderation in choosing a variety of foods. Review the USDA’s recommendations of different food groups to include in each meal using the choosemyplate.gov website. Chat about how to choose delicious, healthy food such as fruits or vegetables often instead of occasional treats like pizza. Teach healthy habits for life! Search online for new lunch recipes! Below are links to recipes and snack tips available from the US Department of Agriculture. 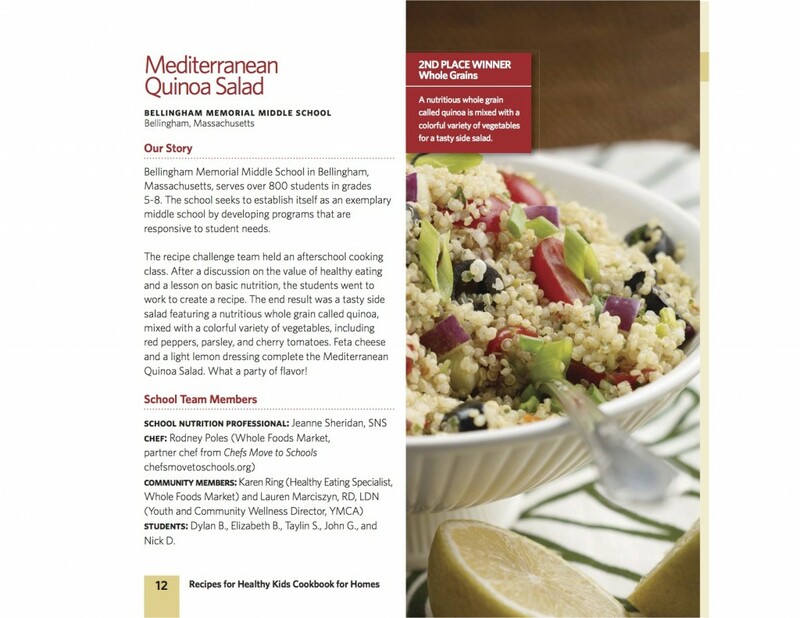 Click on the picture of the Mediterranean Quinoa Salad to get the recipe. You will need to scroll down to the second page of the article for ingredients and preparation. 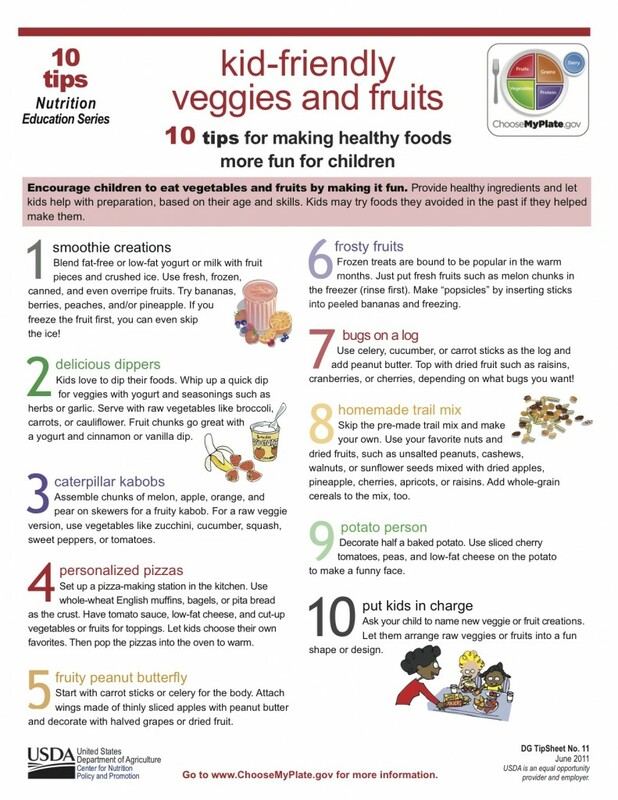 You can also click on the “Kid-friendly Veggies and Fruits” tip page to make it larger and print. To get the recipe for how to make this, click on the picture. Plain City Free Clinic Offers Free Medical Care for Eligible Patients. The Plain City Free Clinic continues to be open most Saturday mornings. The sessions take place in Dr. John Adams’ medical office located at 480 South Jefferson Avenue (which is Route 42), Suite 500. Dr. Adams’ office is directly behind Plain City Druggist and across the road from Der Dutchman restaurant. For patients meeting specific guidelines, free medical office visits are provided. Medical needs outside of routine office care are referred to other providers who have agreed to offer services at reduced costs or at no charge. A person does not have to be a previous patient of Dr. Adams to use the Free Clinic. The Plain City Free Clinic is a satellite office of the Madison County Health Partners, which additionally operates a free clinic in London, Ohio. 1. The person must be a resident of the Plain City area (live in either the Jonathan Alder or the Fairbanks School Districts). 2. Currently be without health insurance. 3. Meet a household income guideline (200% of the federal poverty level or below). To qualify, the total household income for a family of four should be $41,000 per year or less. Appointments are necessary for the Free Clinic and can be made by calling Charles or Zeta Holcombe at 614-873-8600. For information, you can also email Charles at holcomcare@aol.com. On clinic day, the patient needs to bring a photo ID and a proof of residency (utility bill, etc.). Children under the age of 18 must be accompanied by a parent or guardian. The clinic does NOT provide narcotics, controlled substances, or chronic pain control services. 1. Information about community resources and services. 2. Help applying to Prescription Assistance Programs. 3. Referrals to appropriate community services, as needed. 4. Spiritual support if requested. 5. Financial vouchers to help pay for some prescriptions. 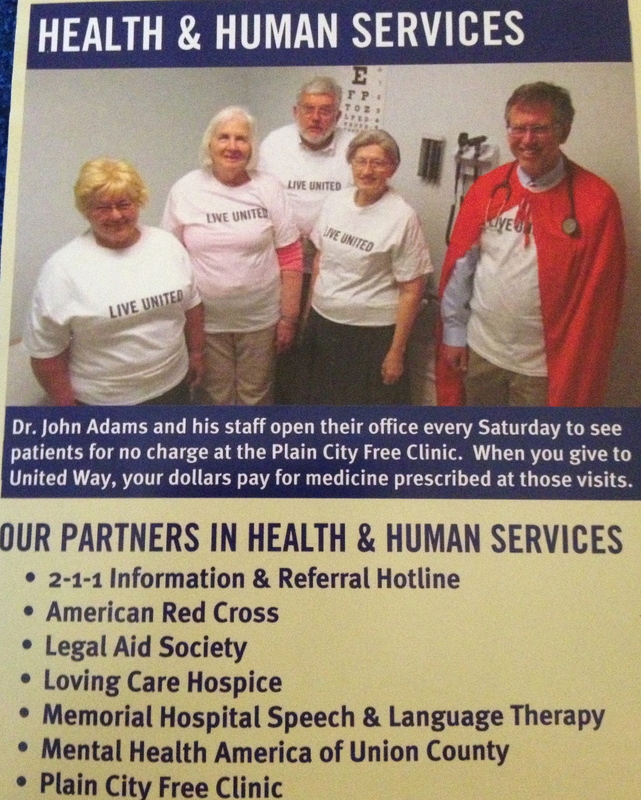 The Plain City Free Clinic is currently featured in the United Way 2013-2014 Giving Campaign, asking all of us to be a “Super Hero,” and “Live United.” Check out Dr. Adams, Charles Holcombe, and the Free Clinic crew in the United Way brochure under “Health & Human Services” HERE. 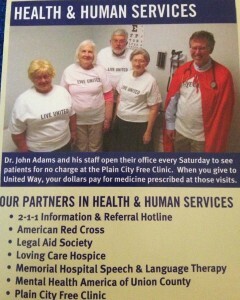 You can see all of the United Way funded projects, including the Free Clinic, by going HERE. And you can LIKE the United Way of Union County on Facebook HERE. Lyme Disease. By Our August Student Pharmacist, Ann Kuttothara. Planning a road trip or camping trip soon? Here at Plain City Druggist, we want to keep you prepared to face anything! So in continuing with the summer theme of bug bites, today’s topic is Lyme disease. The majority of Lyme disease cases are reported in 13 states including Minnesota, Wisconsin, Pennsylvania, New York, and New Jersey. The incidence of Lyme disease in Ohio has been decreasing so help to keep that statistic down by keeping an eye out for ticks! Lyme disease is caused by a bacteria called Borrelia burgdorferi which is passed to humans by blacklegged ticks. On the East Coast, this tick is called Ixodes scapularis and on the West Coast, the tick is Ixodes pacificus. 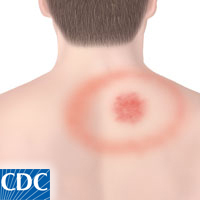 A bite from an infected tick can result in a unique rash and Lyme disease. The official name of the rash is erythema migrans and it looks like a bull’s eye. Even if a rash does not appear, tell your doctor about the exposure to ticks if any of these symptoms occur. Monitor for symptoms up to 30 days after tick exposure. An ounce of prevention is worth a pound of cure, right? So avoid Lyme disease by reducing your exposure to ticks and removing them if you detect one. Use trails when outside and check often for ticks on clothing and hair. Wear light colored clothes to identify ticks and wear long sleeves and long pants, which can prevent the tick from latching on to your skin. Use repellants on clothing for an extra layer of protection (as described in Amy’s column: http://pcdblog.com/2013/07/insect-repellent-what-products-should-i-use-on-my-family-by-our-bite-free-july-student-pharmacist-amy-reed/). The tick usually has to be attached to the skin for at least 36 hours to spread the bacteria. 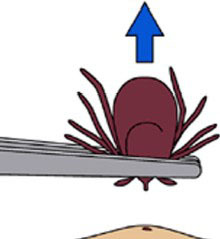 If a tick is found on the skin, it can be removed with tweezers (to refresh your memory on how to remove a tick, re-read Amy’s blog: http://pcdblog.com/2013/07/). Do not hesitate to mention the tick to your doctor if you experience any of the symptoms described above after removing the tick. Lyme disease is usually treated with antibiotics. Visit your doctor if you notice the bull’s eye rash or experience symptoms. Early treatment is ideal for quick recovery. Symptoms such as muscle and joint ache can persist for months or years after a bite so make sure to visit the doctor as soon as you think there might be a problem. Medication Use in Schools. By Our August Student Pharmacist, Ann Kuttothara, Who Very Happily is Almost Done With School. 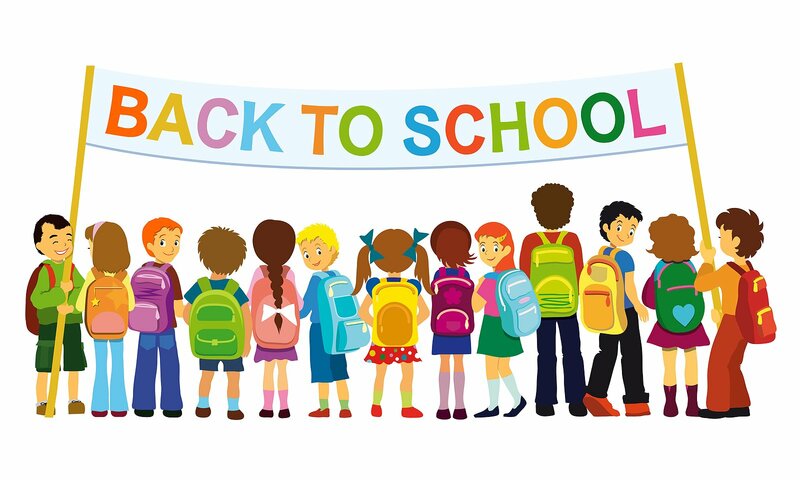 As you and your children gear up to go back to school, there are many things to do: buy school supplies, shop for new clothes, get haircuts, and try out new lunch recipes. Don’t forget, however, to add one more important task to your to-do list: get your child’s medication ready for school. Many children have food allergies which require an EpiPen to be kept with them not only at home, but at school, as well. 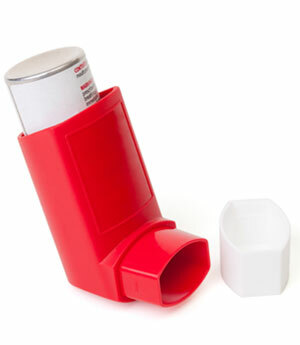 Some students use asthma inhalers and others carry insulin. Your child’s important medical information should be shared with the school. Discuss with your child’s doctor about using medications in school and whether prescriptions are needed for school use. For example, if a child needs an extra EpiPen at school, ask your doctor for an additional prescription for the second EpiPen. Also ask your child’s doctor about carrying medical information with the child when they are at school. Along with the many forms you fill out for back to school, ensure that medical information and emergency contact information is completed accurately. Provide detailed information about your child’s allergies, medical conditions, and symptoms. Schedule a meeting with school staff, including your child’s teacher and the school nurse, to discuss the use of medications and any special instructions. You may be able to talk with the official in charge of food services, as well, for those children with food allergies. Work with your child’s doctor and school to develop an emergency action plan for steps to follow in case medication administration is necessary. So how does your pharmacist fit in? Ask your pharmacist to show you how to use all medications, including the EpiPen. Your pharmacist will use the EpiPen training device to help you practice, so you will be comfortable using the actual EpiPen when the time comes. If your child uses medications that need to be taken at school, ask your pharmacist to provide two bottles to separate the medicine for home use and for school use–that way appropriate labels with instructions will be available in both places. Your pharmacist is a great resource, so discuss any questions or concerns with them. 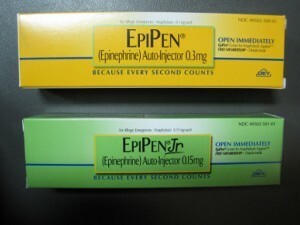 Keep the EpiPen at room temperature and not in cars where the temperatures can become very hot. Check to make sure the solution is NOT cloudy and make sure it is NOT expired. Give the injection in the outer thigh. The injection can be given through clothing. Do not re-use the EpiPen after it is used. 1. 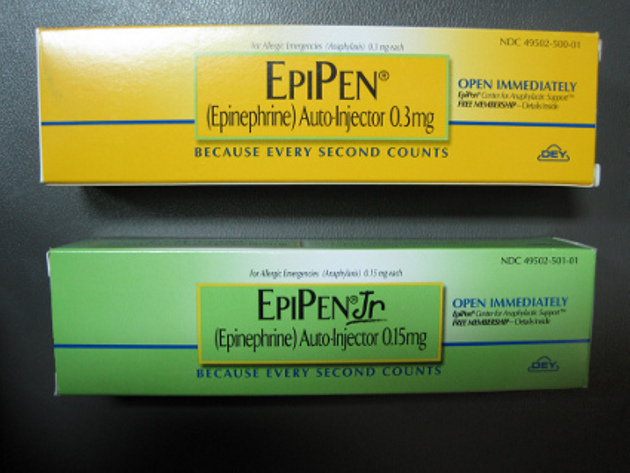 Flip open the yellow cap of your EpiPen or the green cap of your EpiPen Jr. Slide the auto-injector out of the carrier tube. 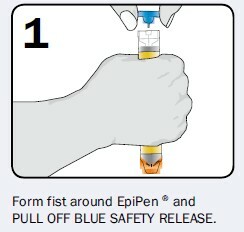 Grasp the EpiPen in your fist with the orange tip pointing downward. Remove the blue safety release by pulling straight up–do not bend or twist the release. 2. 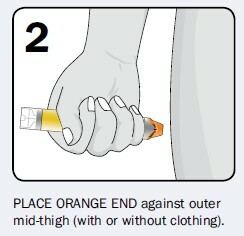 Push the orange tip against the outer thigh. You can do this through clothing. 3. 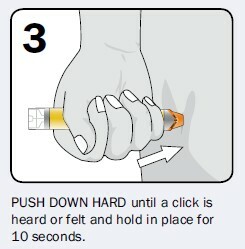 Push down until a “click” is heard or felt and hold for 10 seconds. 4. 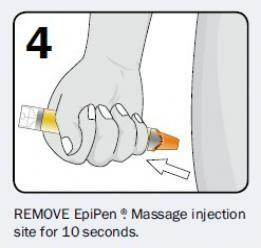 Remove the EpiPen and massage the injection site for 10 seconds. Heat Illness: A Hot Topic. By Our August Student Pharmacist, Grace Kilbane. Although we’ve had it made in the shade this summer, this is the time of year when things can really heat up. As the fall sports programs start to work out our young athletes, it is important to be aware of the risks of heat injury. There are three main types of heat injury that range in severity and urgency: heat cramps, heat exhaustion, and heat stroke. Read on to educate yourself on how to beat the heat! Heat cramps can be common in people who work or exercise outdoors and lose too much salt through sweating. Salt is an important regulator of skeletal muscle contractions. If your salt levels are out of whack, your muscles may not function properly and may begin cramping. If you notice cramping, you should opt for a sports drink (such as Gatorade) instead of water to help replace some of the salt and potassium lost by your body and call it a day. If the cramping does not subside within one hour or you notice that your urine is very dark or brown, you should seek immediate medical attention. 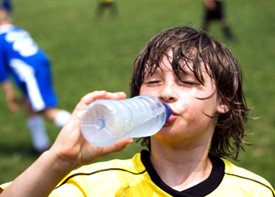 Heat exhaustion is the body’s response to excessive loss of water and salt through sweating. Symptoms include: rapid heartbeat, excessive sweating, dizziness, weakness or fatigue, fast but shallow breathing, and skin that is cool and damp. Treat heat exhaustion by resting in a cool area and drinking lots of water. A cool shower or bath can help your body maintain a safe temperature. Heat exhaustion may also be accompanied by heat cramps. Heat stroke occurs when your body is no longer able to maintain a safe temperature. 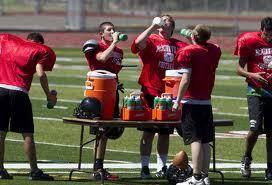 Heat stroke is the most serious type of heat injury and can lead to death if not treated. Symptoms of heat stroke include: high body temperature, loss of coordination, confusion, headache, seizure, and skin that is hot and dry. Body temperatures can rise very quickly during heat stroke, and it is important to treat it immediately. Call 911. Get the person to a cooler area as soon as possible. Do NOT give fluids. Begin cooling the body by dousing the person with water and/or placing icepacks in the groin area, armpits, and forehead. Avoid direct sun between the hours of 11am – 2pm, seek a shady area if possible. Wear light-colored, loose-fitting clothing and light fabrics. Drink plenty of water and non-caffeinated, non-alcoholic beverages. Do not wait until you become thirsty to drink water, drink two glasses every hour. 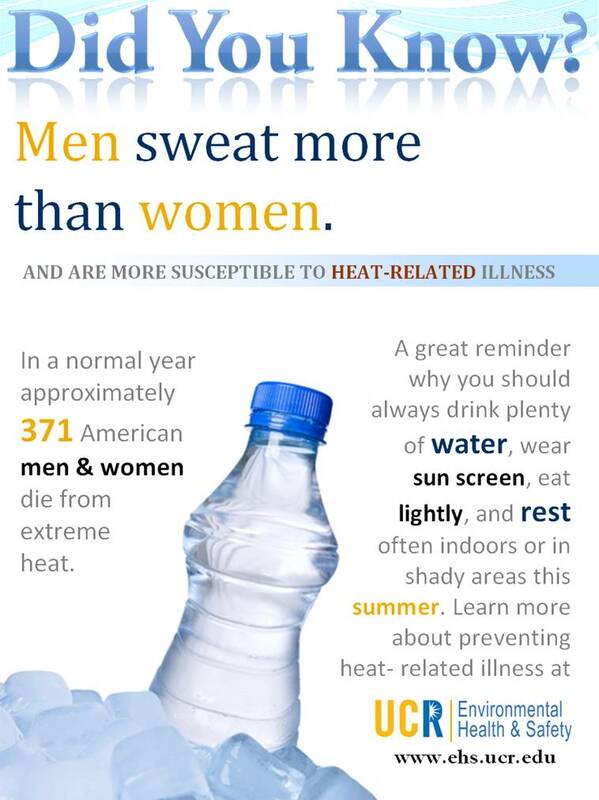 Know the signs and symptoms of heat illness and monitor yourself and others. Centers for Disease Control and Prevention. 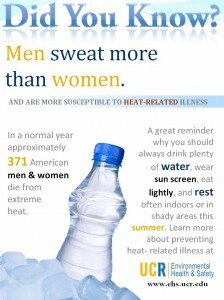 Warning Signs and Symptoms of Heat Related Illness.